12 to 14+” of slightly wavy, warm light chestnut brown hair. Never chemically treated, never heat treated. No chlorine or other chemical exposure. Non smoking household. I only use organic sulfate free shampoos and conditioners once a week. I also take a prenatal multivitamin for hair/nail strength. I will get it professionally cut when you purchase. 28 inches of virgin black mexican american hair. 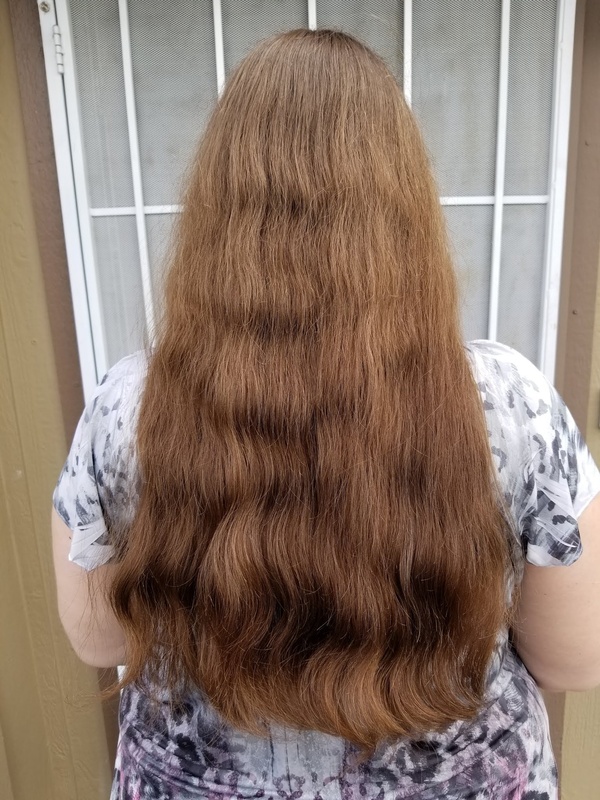 Virgin, long, thick, and wavy red hair for sale.